Art Gallery - Lego Ships! As part of their Treasure Ships exhibition, the Art Gallery of Western Australia has brought out their tubs of white LEGO® for building! Kids are invited to construct naval vessels out of all the LEGO® pieces. Please see the Art Gallery website for the info. 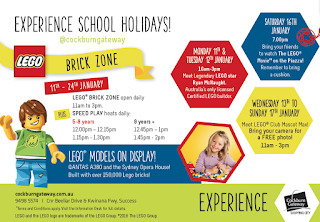 Head to the Cockburn Gateway shops for a LEGO® display and building exhibition! Kids can unleash their building skills in the Brick Zone. 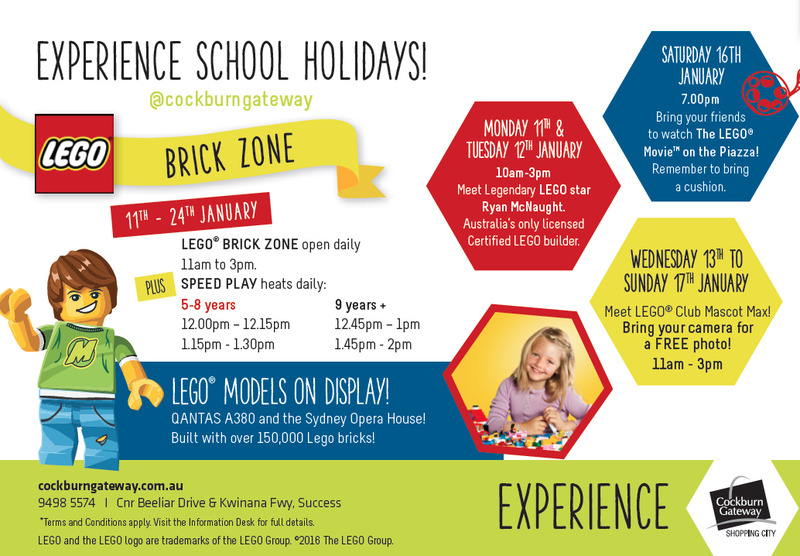 Two massive LEGO® models on display - a Qantas A380 and the Sydney Opera House! See the Cockburn Gateway website for details.